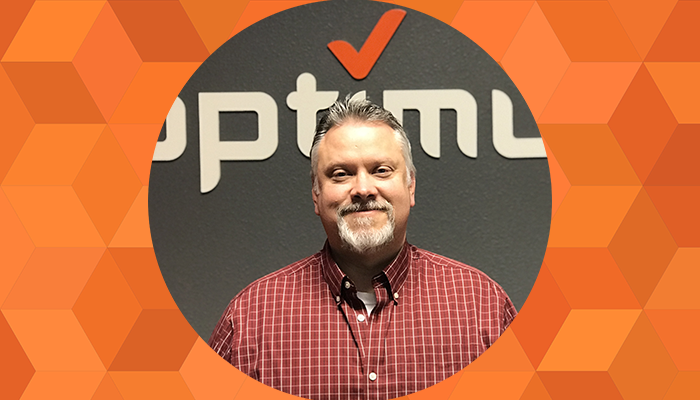 Mesa, Ariz: Optimum Technologies, a local Software as a Service (SaaS) startup, welcomes Mathew Musgrave as the new Director of TechOps. Matt has 25 years of experience in the IT field, as a Servant Leader, Project Manager, Solutions Architect, and UNIX/LINUX/Windows Administrator. Matt is originally from Arizona but has been living in Kansas for the past 15 years. He’s excited to be back in the Valley of the Sun and join the growing OptimumHQ team. In Kansas, Matt was the Solutions Architect Supervisor for Koch Business Solutions for 13 years. Some of Matt’s skills include: developing, leading, and delegating strategic initiatives; connecting direct reports to the business vision and aligning on goals and processes; customer relationship building; strong analytical and problem-solving skills; ability to gather and translate business requirements into technical solutions; knowledge of process control networks, manufacturing systems, and operational management. “I’m looking forward to continue working with Matt. He’s become an essential asset to the team and we’re very lucky to have him,” said Simon Chatfield, CEO of Optimum Technologies. Simon and Matt first met when they both worked at Arizona State University in the 1990s.